Bei Wei Wei is the campus goddess, who also excels in her studies. She aspires to be an online game designer/engineer, and goes by the alias of Luwei Weiwei in the online role-playing game Dreaming of Jianghu. After she gets dumped by her online husband Zhenshui Wuxiang, she gets approached by the number one player Yixiao Naihe, who suggested that they get married so they both can participate in a couple competition within the game. The newly formed couple instantly hit it off, and undergo many adventures together in the game.However, Wei Wei never expected the real identity of her virtual husband to be her college senior, Xiao Nai who is described as the cream of the crop in both sports and academics. When Wei Wei discovers his true identity, they have already fallen in love with each other. Together, they face many obstacles as due to their good looks, many are jealous of them. What happens to their relationship then? Lucky is a drama fan who, after watching countless of dramas, encounters a series that will make her feel like discovering the world of dramas for the very first time. I know you all wish you could experience that way all over again. Fortunately for me, I did. I haven’t watched much dramas last year, my interest just started again with Moonlight Drawn By Clouds and was further fueled by Weightlifting Fairy (these two are my favorites from last year). As I was feeling sad that WF ended (and no other kdrama piqued my interest), I decided to switch to chinese dramas. Seo Jung Hoo is so-called “errand boy”. For a relevant price he may complete any task, only if it’s not connected with murder. Under Healer’s mask he had run foul of some organizations that now strive to catch him, however no one knows who he really is. He can count on older woman’s help, genius hacker responsible for the technical part of their job. One of his tasks is closely connected to one girl, Chae Yeong Shin, second rate tabloid reporter. She starts to have an interest about Healer when he tries to get close to her, which results in the discovery of their common past.. This review will be short (well the actual Healer thoughts bit). I have been away from the blogosphere for so long that I’m not confident of my ability anymore (lol). 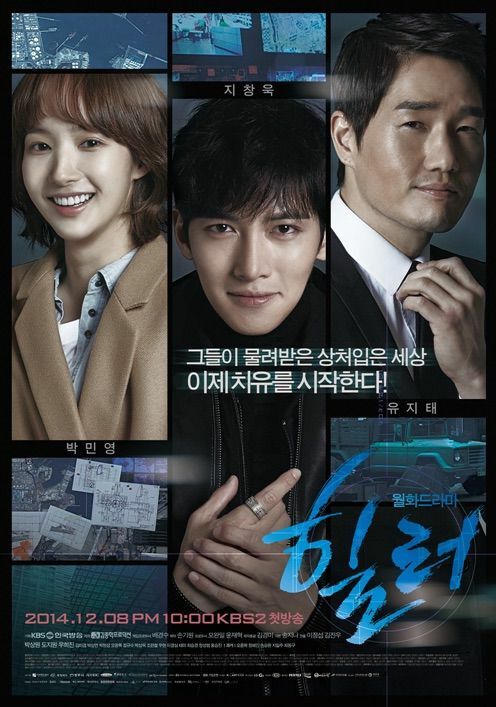 The reason why I am even bothering with a short review is of how much I adore/love Healer. It felt like a crime not to let my blog have any Healer-lovin. 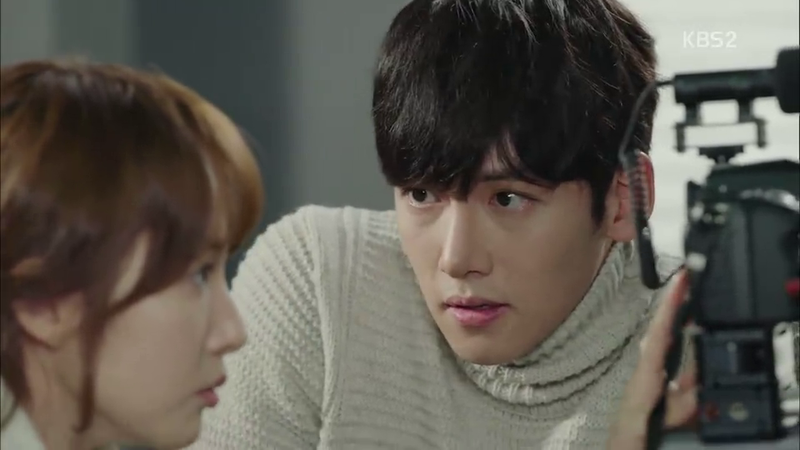 The thing is, my officemate was bugging me to watch Healer back when it was still airing. She and my other officemates were all going gaga about the show (and its couple) and never once was I influenced. What’s funny was I was even the one supplying them with the episodes (I’m the official “Kdrama DL-er”, even if I’m not into dramas for a while) and up until I started watching (this month), Healer has been sitting on my laptop/external HD. What made me watch is the impending showing of it in my country. I tell you, three or four episodes in, I gave up. It was only two weeks after that when I seriously began watching again. And even during that time I did not finish it in one sitting. Why, how, what?! Let me explain. During the first three/four episodes, I did not find any attachment towards the story and its lead. I was thinking, why did my friends go crazy over Healer/Jeong Hoo when I found Munho more appealing? It wasn’t until Healer rescued Young Shin from the thugs that I began to seriously love the show. And the reason why I did not finish it in one sitting is because I don’t want to say goodbye to Ji Chang Wook’s awesomeness. Fate, destiny, I believe in that kind of stuff. If it didn’t exist, why would words for it exist. Once I found the connection that I was looking for in Ji Chang Wook, the madness never stopped. I am irrevocably inlove with the guy. His portrayal of Healer and Park Bong Soo caught me hook, line, and sinker. The man is totally adorable and such a great actor (no kidding). I have tried watching Empress Ki before and I like his character more than Joo Jin Mo’s but a few episodes in, I gave up and never tried looking for any info on him. Fast forward to Healer. Three reasons why I love Healer: Ji Chang Wook, his chemistry with Park Min Young, and Ji Chang Wook. HAHAHAHAHAHA. Putting my love for him aside, moments with him and Young Shin (Park Min Young) were totally off the charts. The reason why I was always looking forward with the episodes is to see him wearing his love on his sleeves for her (with Eternal Love playing in the background). Damn. Can someone direct me to a guy like him? Healer would have been perfect all throughout but the intensity kinda went down in the last few episodes (intensity = Bongsoo x Youngshin moments). I wish the last episode wasn’t the last and there will be an extra one just to stretch what happened in the end more. It felt rushed :(. Anyway, thinking back, I’m still happy that I got to watch Healer and discover my love for Ji Chang Wook (he replaced So Ji Sup as my #1 oppa). But you know what? Amongst all the bad things that happened, you’re the best thing in them. Aom-am is a naive writer who got swindled out of everything she owned including her house. Stranded in Korea, she managed to borrow money from an actor Mike to return to Thailand. On her return, she found out that her house was bought by Mike. In an attempt to get her possessions back, she entered in a contract marriage with Mike. The initially business relationship between the two turns into personal as they start to rely and care for each other. Based on a popular manhwa of the same title. note: I have had this review sitting on my laptop for months! Confession time: I am not a fan of Full House (the Korean one). Truth is, I have watched the series five years after the original FH aired. While there were things that were endearing in FH, I wasn’t much a fan of the plot (the reason why I am bringing this up will be tackled later). Recently, the Thailand version of FH has been “popping” up on my radar. It wasn’t until my friend/officemate shared the link of “Oh Baby I” MV on my FB wall that I have finally decided to watch it. I fell in love at first hearing the song (Mike’s voice is sooo lovely). So my thoughts after finishing the entire series? In my opinion, it is better than the original version. The Korean version’s casts may have the upper-ups in the looks department but if I were to judge based on the overall impact, I choose the Thai version. Late for a meeting, Kotoko was running along the corridor in school and bumped into Naoki, their lips meeting. Naoki showed his disgust, but Kotoko started to idolise him, who was good at everything from studies to sports. Despite its age (and the quality of the video), I have loved this unexpectedly. My type of love for this Japanese drama goes beyond the realm of objectivity. It is purely subjective. Itazura na Kiss (the plot in general) is one of my favorite stories of all time so it is understandable if I may be biased but that does not stop me from noticing flaws.